The vaults and crossing of S. Vicente de Fora, one of the most exquisitely designed churches in Lisbon. 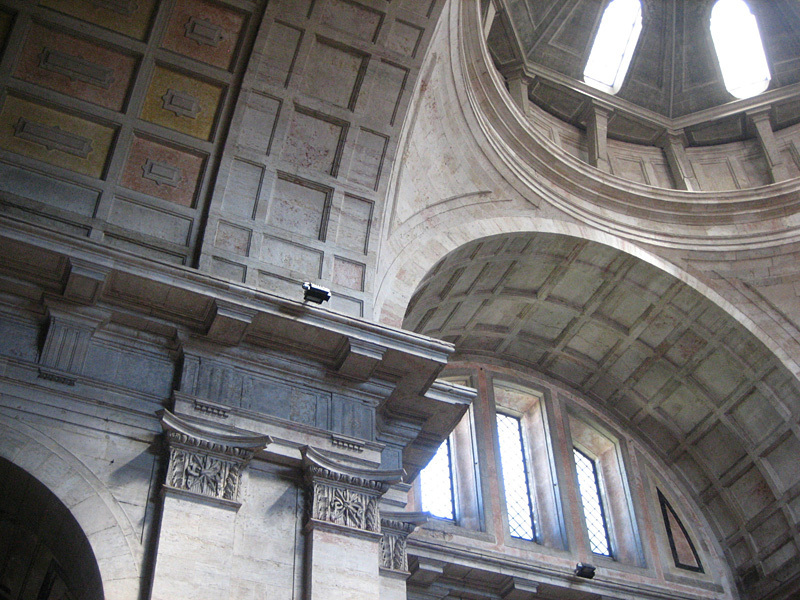 Late 16th-early 17th century, the original architect was Filipe Terzio. A sort of High Renaissance from an estranged Italian, every piece relates to the whole and the detailing is superb, sharp and highly inventive.